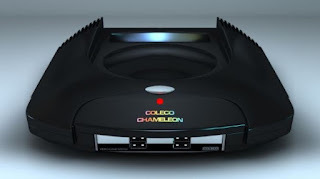 Nintendo Love Affair: Coleco Chameleon Launch Titles Unveiled! Check out the Toy Fair 2016 launch! 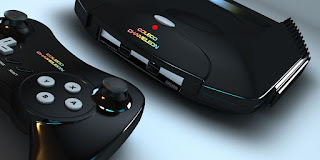 Finally, Retro Video Game Systems has released a trailer of the early launch titles for the Coleco Chameleon. The 8-bit offerings are certainly nostalgic and the 16 bit offerings look fantastic! Check out our original Chameleon article outlining system details and launch information! For game footage and details click the titles below! We will continue reporting news at it comes! Coleco Chameleon is set to release at Toy Fair in February. Look forward to more gaming news from Nintendo Love Affair! Will the Coleco Chameleon bring retro gaming into the limelight? Any inappropriate comments will be removed from the discussion section! Keep it tasteful please. i wonder how the colecovision and intellivision games will work with the coleco chameleons controller. That is a very good question! There are so many details we still don't know about. Hopefully all will be unveiled at Toy Fair... that's only a week away! I don't think it will be difficult to map the controls to those controllers. We will see though. Battle Brave Saga is actually a Genesis game by Chuanpu Technology released in Taiwan in 1996 and is better-known (relatively speaking) as Brave Battle Saga: Legend of the Magic Warrior. It also occasionally known as Barver Battle Saga. Thanks for the info Terry! As more "information" is being released about the Chameleon, we start to wonder what games are actually coming out for it. Things are starting to smell fishy at Retro Video Game Systems. Is this whole project not just a scam? So far the Coleco Chameleon, as well as Retro Video Game Systems, has lived up to the name. They remain elusive and in hiding. In all seriousness, everything this company has put forth so far has reeked of SCAM. Keep your eyes open though because rumblings around the community suggest the Chameleon story is not over yet.